Post® Honey Bunches of Oats® is the perfect combination of crispy flakes and tasty, crunchy granola oat clusters with just a touch of honey for a delicious, wholesome start to your day! Grab a specially marked Ice Age: Collision Course box and enter the Scrat’s Space Escape Sweepstakesfor a chance to win a trip for 4 to Hollywood for a VIP behind-the-scenes tour of 20th Century Fox Studios or a free year of Post® cereal, PLUS get a chance to instantly win a 4 pack of movie tickets from Fandango (up to $44 total value). For more information about Post® Honey Bunches of Oats®, visit www.honeybunchesofoats.com andwww.facebook.com/honeybunchesofoats. 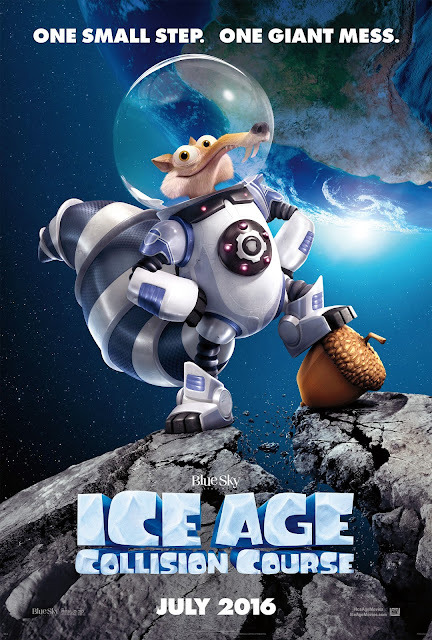 I love the Ice Age movies, we are excited to see this one. I think the trailer is fun and so cute! My kids want to see this fun movie with all the characters that make us smile! Can't get enough Ice Age.. the nieces and nephews are going to eat this up. I am so excited to see this movie. I love Ice Age Movies. I am looking forward to seeing it. It looks like a fun movie. The trailer looks funny. Looking forward to seeing it. It looks like it will be as funny and good as the others! I can't wait to see it! I think the movie looks like a classic! My son and I can't wait to see it! Oh we love the characters in the Ice Age movies! We are so excited to see this one! Looks so funny! The trailer is good, it makes me want to see the movie. Absolutely excited! Love Scrat the nut chaser! can't wait to see with the Grandkids! I thought the trailer was excellent! I think the trailer looks really cute. I'm excited to see it. We've seen all the Ice Age movies and they are kid movies that even my husband and myself enjoy. My kids love Ice Age and the characters. When they saw the trailer, they just giggled and have been asking when can we see it. I know we will all enjoy it! Yes, the trailer looks like a very cute movie. It looks like a fun movie to watch. My grandson wants to see it with me. I loved it! I can't wait to take my kids to see it. It's gonna be fun! I do think this seems like a lot of fun. It would be super family entertainment for all of us to see. It looks funny.. All my kids want to see it. I love the trailer. I'm a huge fan of the Ice Age movies and will definitely watch this with my kids!